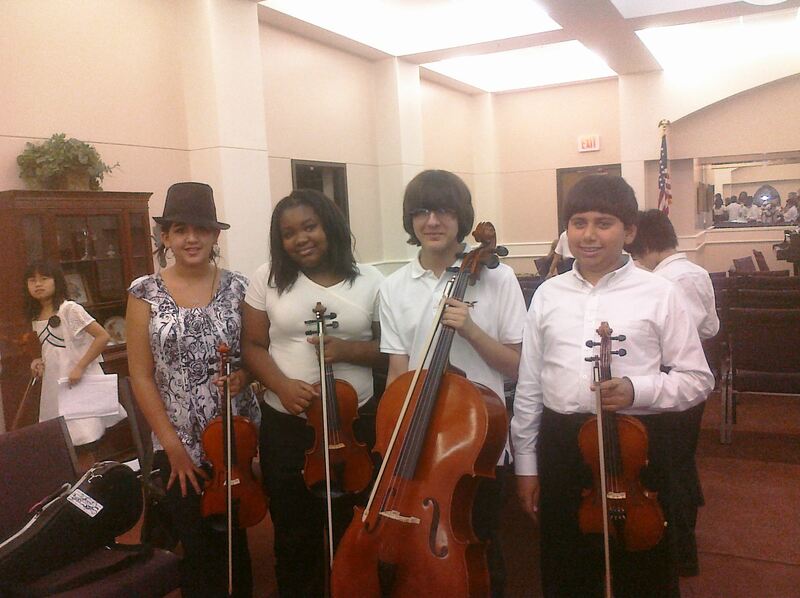 Happy 4th Birthday Marian Anderson String Quartet Community Music School! On January 4, 2010 we opened our doors in Bryan/College Station, TX to a loving, supportive community. Thank you all for daily and yearly making our continued existence possible. Here’s to many more years serving this wonderful community! 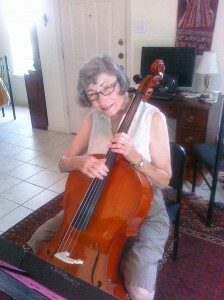 Barbara Rinard receives a cello lesson in 2010 as part of the Marian Anderson String Quartet Community Music School. Angela Yip’s Senior Graduation Recital on May 30, 2013 with her friends Tiffany Woo (violin) and Community Music School students Esther Parulian (violin), Angela Yip (cello) and Nicholas Smith (viola). 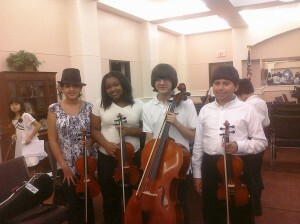 Marian Anderson Chamber Music Institute Final Concert with Sarah Stauffer (violin), Raygan Batiste (violin), Abraham Watkins (cello), and Jesse Obella (violin). 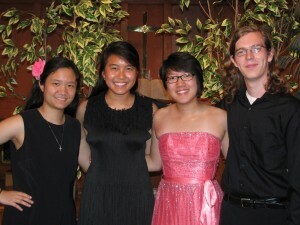 This entry was posted in Chamber Music Institute, News, Photos and tagged 2014, community music school, marian anderson string quartet, summer cmi. Bookmark the permalink. I have been looking for a beginner cello instructor for myself. I have learned the trumpet and know how to read music, but have never touched a cello and do not feel comfortable embarking on this journey alone.